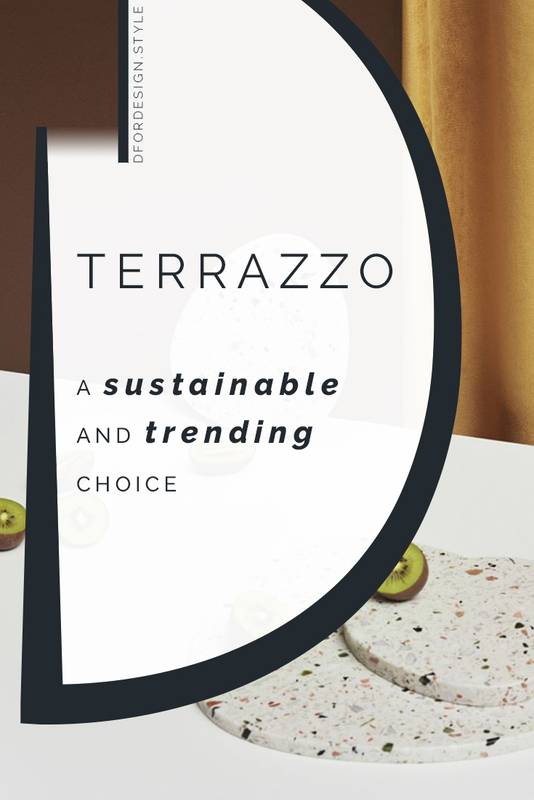 Besides being one of the most trending finishes at the moment, terrazzo has an extremely long-standing history and a very positive sustainability scorecard. 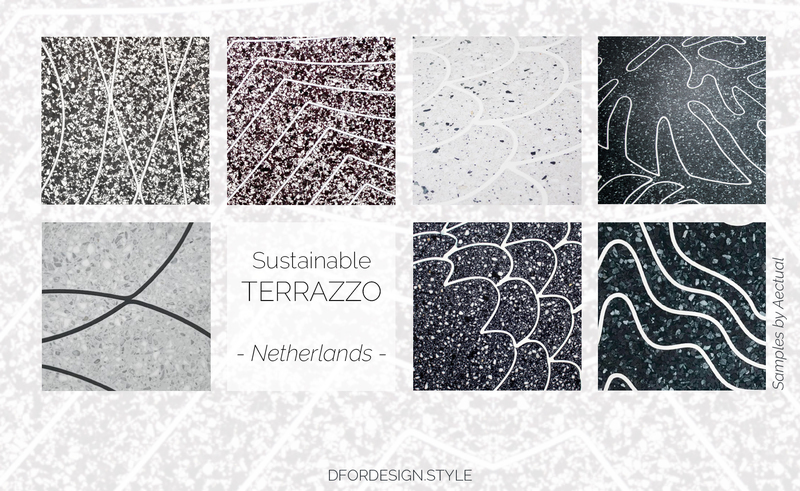 Terrazzo (the Italian word for terrace) is an innate sustainable material. Originally made of small chips of marble and stone dipped into a cement paste, it was born as a way to reuse small marble offcuts. The first examples of terrazzo have been found in ancient Roman villas, but it is in 18th century’s Venice that its popularity raised, becoming the quintessential Venetian flooring. 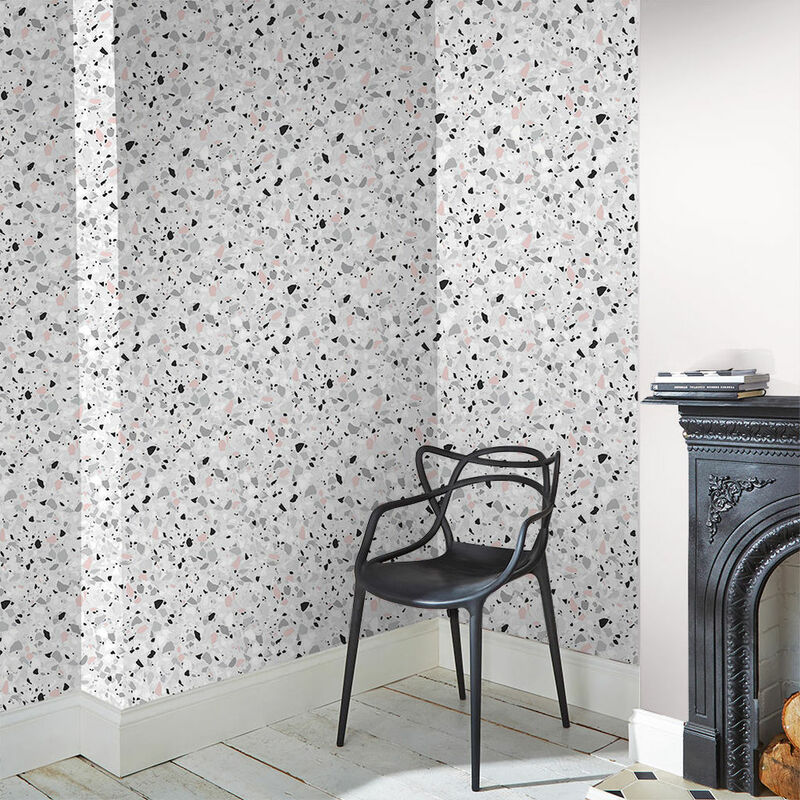 Today, terrazzo is having a huge comeback. 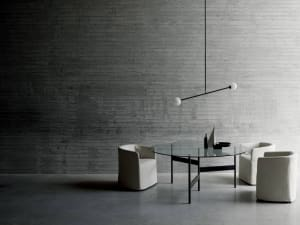 From 2016 to today, it has been reinterpreted and massively employed in finishes, furniture and all kind of design objects. 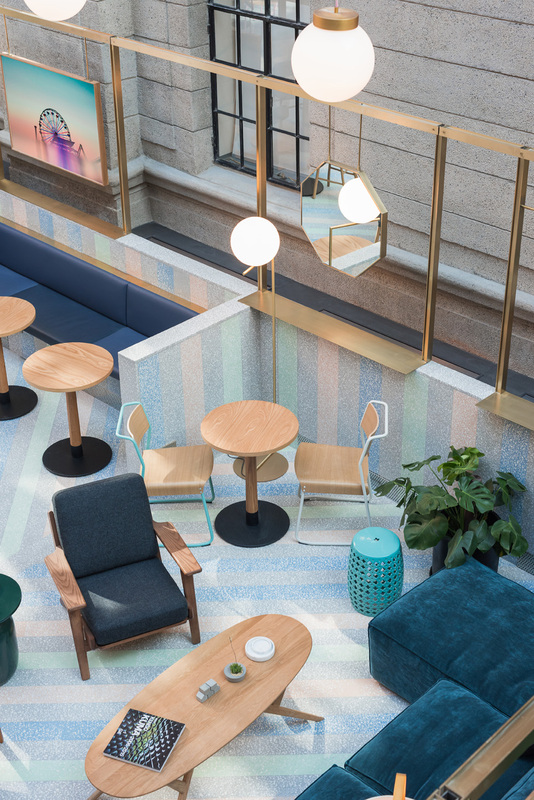 And judging from the latest industry fairs (to name one, the “International Exhibition of Ceramic Tile and Bathroom Furnishings”, better known as Cersaie), terrazzo is actually not going away anytime soon! Modern terrazzo is somehow different from its older predecessor. These days, the cement paste is sometimes replaced with resin, making the end product more resistant to cracking and scratching. The range of available colours is also much wider today and the chips are bigger, making for a striking and bold result. 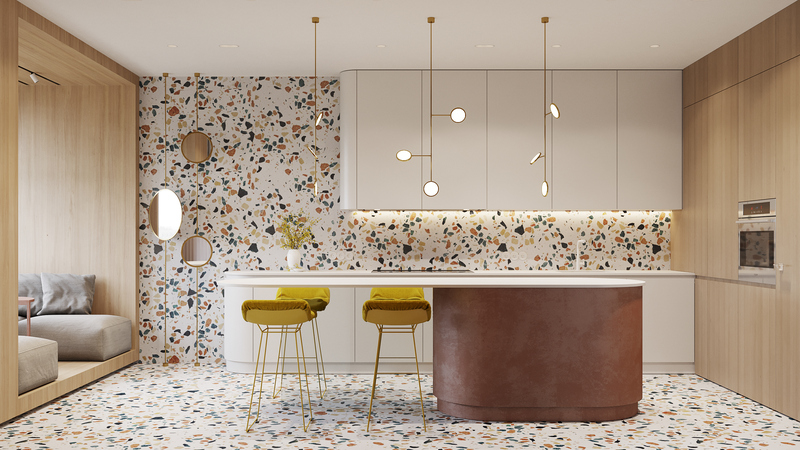 These days, terrazzo has become way more than a flooring material and we can find it everywhere, from walls and countertops, to all kind of furniture and accessories! 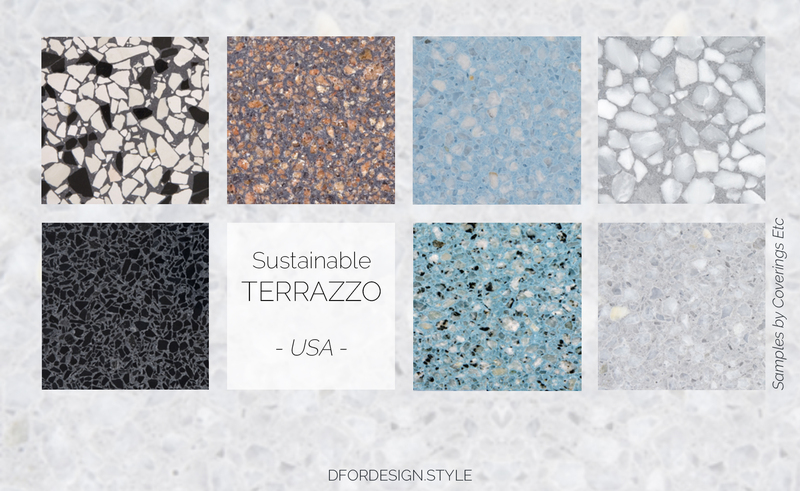 One of the differences of modern terrazzo is that it is made with chips of several different materials, ranging from stone, glass, metal to plastic! 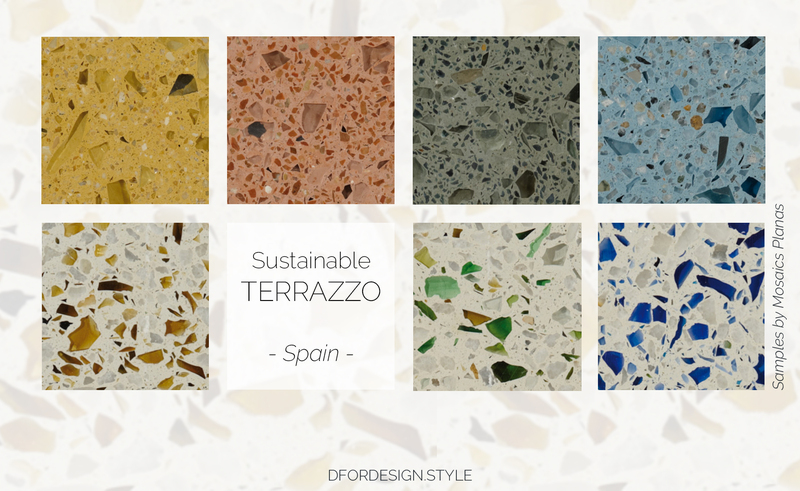 This opens to even more sustainable products, that use recycled raw materials to produce bold and beautiful terrazzo end products! 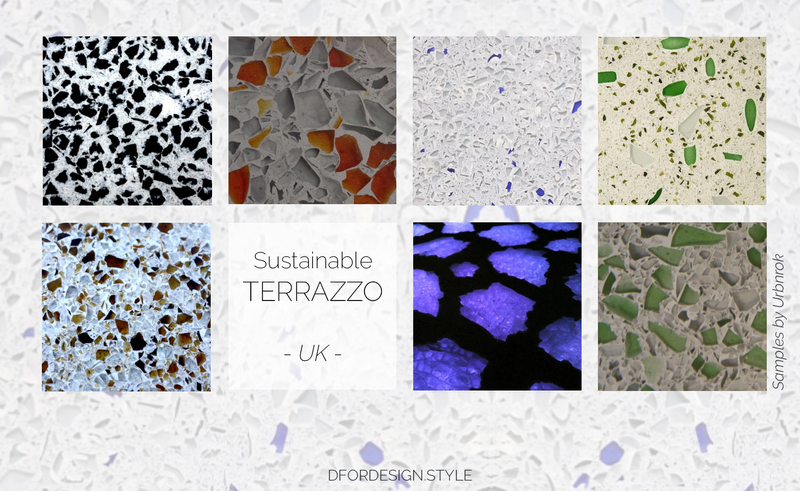 So here is an overview of sustainable terrazzo options, coming from all around the globe! 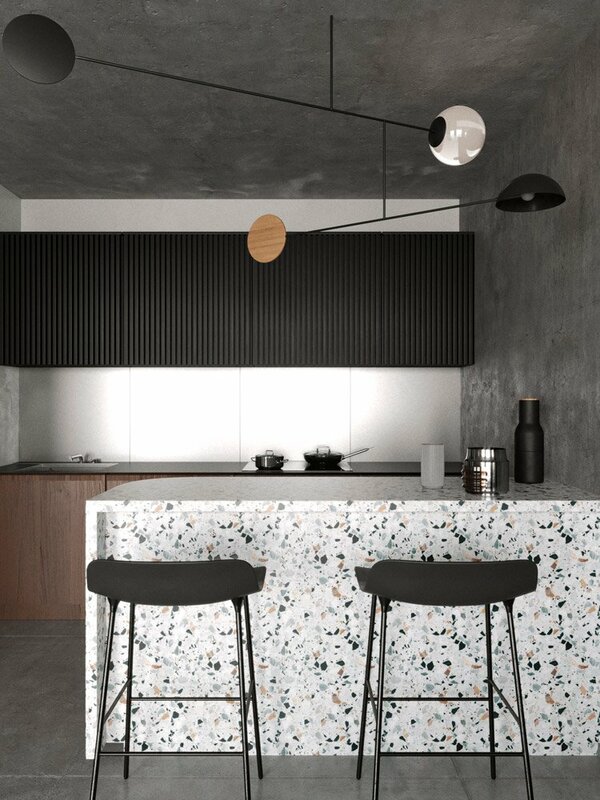 Terrazzo tiles made with chips of recycled glass in a cement base. 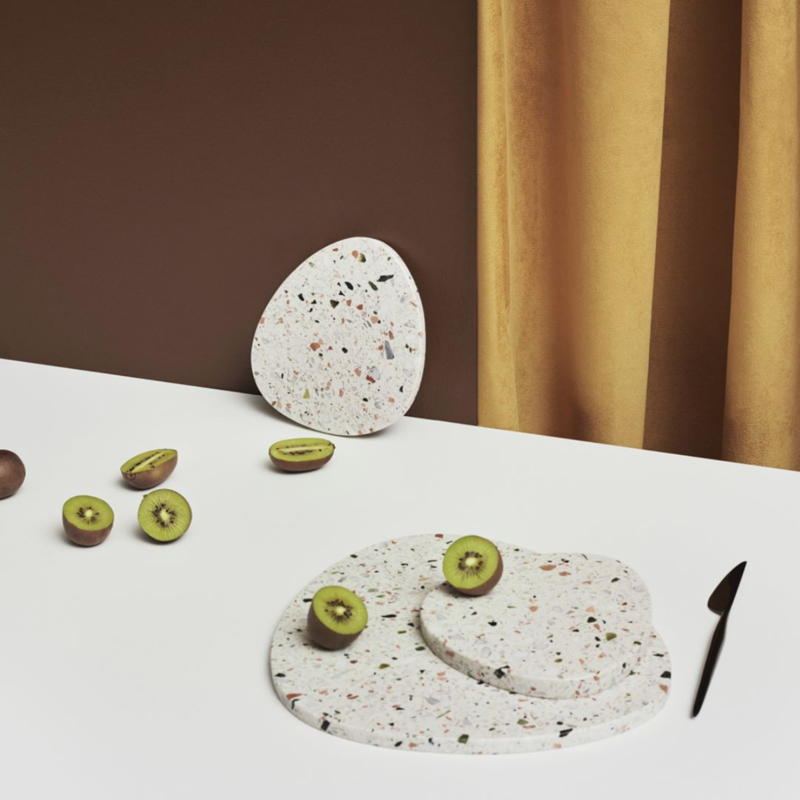 The EcoTerr® collection includes terrazzo tiles and slabs made with recycled marble and granite chips from closed quarries, dipped into a paste of recycled cement and fly ash coming from contaminating waterways. 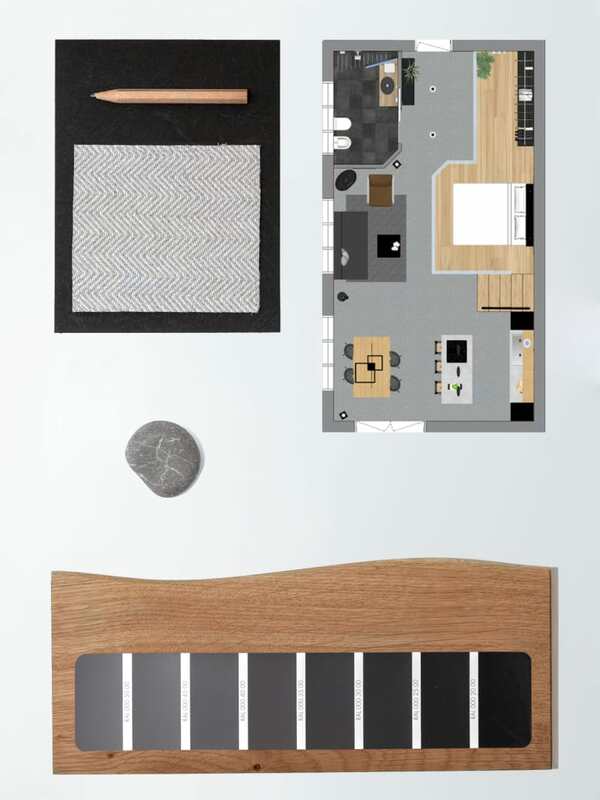 Credit: DforDesign - Samples by Coverings Etc. 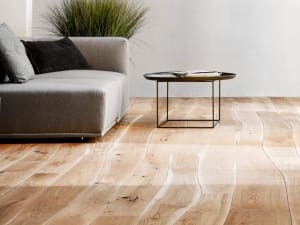 This innovative 3D printed flooring system is entirely customizable and can be printed in a variety of different patterns and colours. First, a pattern is 3D printed using a bioplastic. This frame is then infilled with a terrazzo paste made of recycled granite or marble chips and a bio-based binding agent. 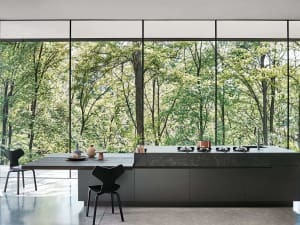 The raw materials for these terrazzo surfaces are glass recycled from bottles that are trashed by pubs and restaurants (for green glass), waste from the glazing industry (for clear and mirror glass), unleaded CRT screen glass and cockle shells (both purchased from recycled sources). 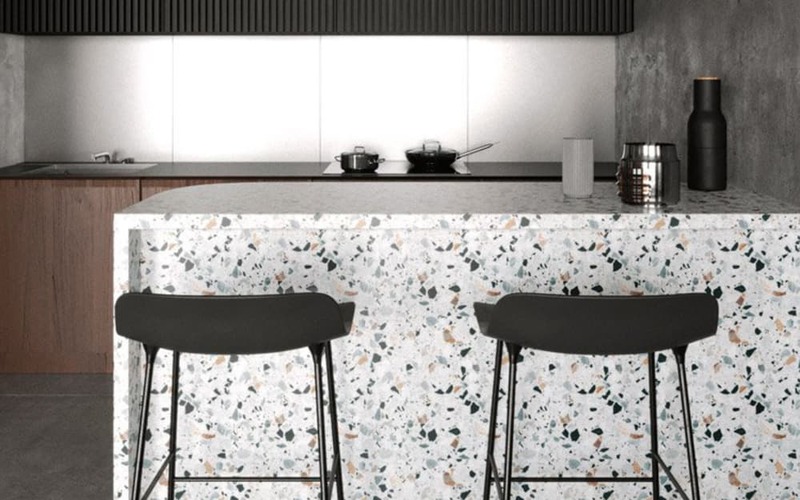 Terrazzo is such a big trend right now that it has even been named the new marble! And I must say I really like how well it lends itself to a circular use of resources. 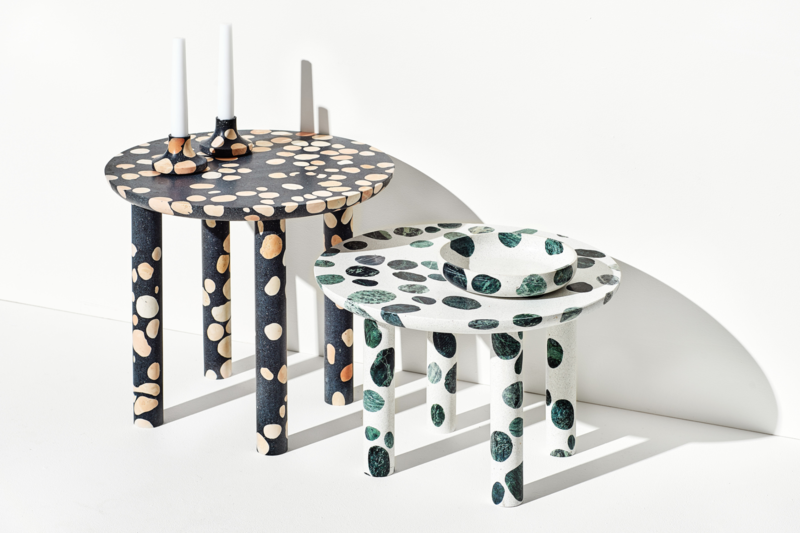 Are you obsessed with terrazzo? I thought I would never be, but I'm actually starting to see its charm!